This is not a drill: the Mamba is in town. No, Kobe Bryant isn’t here. But a bigger Mamba is in Manila. 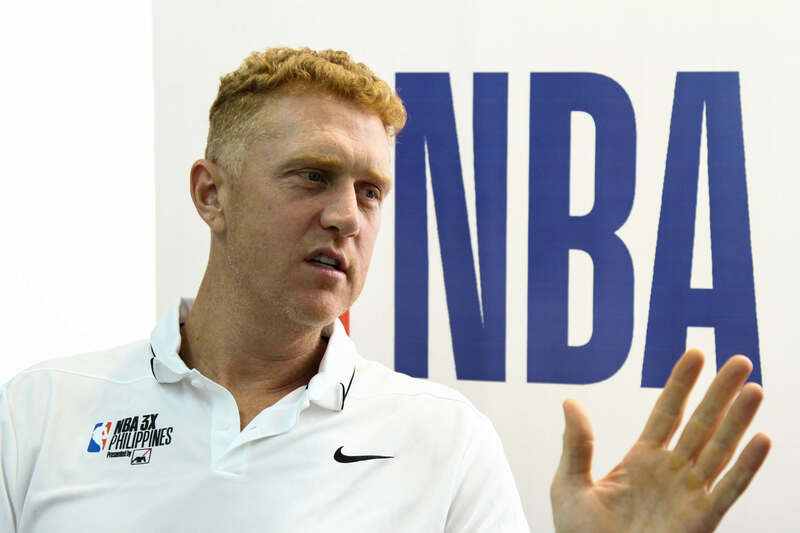 The White Mamba, Brian Scalabrine, will be out here to join the Filipino NBA fans. Being dubbed the ‘Greatest of All Time’ is misleading for the kind of career that Scalabrine had. He was never the team’s superstar, whether he was in New Jersey, Boston or Chicago. He only averaged 3.1 points and two rebounds per game throughout his career. He’s more of a basketball cult figure, an icon who probably had more memes than career blocks. “If it wasn’t for memes, there would be no White Mamba. I embrace all that” he said. But make no mistake, Scalabrine had a long and illustrious NBA career. While most of his contemporaries struggled to stay in the league, Scalabrine played for 11 seasons. He was part of the 2008 Boston Celtics that won the NBA title, and had a total of four Finals appearances with New Jersey and Boston. “I was very fortunate to be on teams with such great players,” Scalabrine said. He recognized that he was lucky enough to find his niche in the league, thanks to players like Jason Kidd. “If I hadn’t played with Jason Kidd, I wouldn’t have stretched out my career 11 years,” he added. Scalabrine had a very simple yet effective approach to the game: play hard, play smart. Instead of trying to do everything for his team, he focused on the aspects that he’s good at. “Limit variable. Variable is like Kyrie Irving. He can come off a screen and roll. He can do 50 different things. I wasn’t that good. I could do one or two things. But the things that I was good at, I tried to continue to do that,” he said. Scalabrine didn’t have to do everything for his team, anyway. Having played alongside Kidd, and later on Garnett, Pierce and Allen, Scalabrine knew that he didn’t need to do much on the floor. “The reason I was in the NBA was because I could catch the ball, shoot it, put the ball on the floor and make a play to another guy,” he exclaimed. Instead, he had to stick to his role for him to be effective. “My coaches counted on me because they know I’m not gonna make a mistake when I’m out there. We call that having game plan discipline. Game plan discipline and make an open shot. That could be pretty successful to a team that already has three Hall of Famers on there,” he added. For him, continuously learning the game, up to specific details, is also essential to keep up to the level of play in the NBA. “Don’t just go into the game blind. If I’m gonna go against a player that’s usually gonna be better than me, how can I study and get an advantage against him. So, you add all that up, it does add to having success,” he said. Scalabrine didn’t turn his back to the game after his lengthy NBA career as a player. He had a short stint as an assistant coach for the Golden State Warriors in the 2013-2014 season. He’s now an NBA analyst for the Boston Celtics and the co-captain of the Ball Hogs on the BIG3. 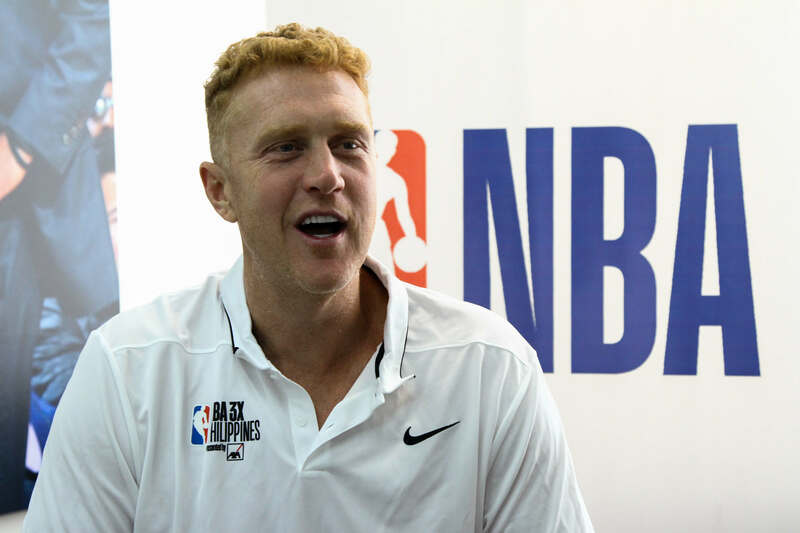 Scalabrine is in the country for the final leg of NBA 3X Philippines 2018. “I’ve heard about the love for basketball out here in the Philippines. I love the game of basketball and I’m really excited about just seeing what type of play, what type of style these young kids play with,” he said. He also wants to show his skills in the Celebrity Division.